My Uncle just shipped me this phone from Asia as a birthday gift. The phone is simply fantastic. -Batterry life: Hmm , what more can I say than the other users have said already? the menu style is the same like on all other panasonic phones ( not very convinient if you consider that it takes few days to get used to it). In this case PANASONIC must learn from NOKIA and SAMSUNG how to organise the menu in the european way - not in Asian. My friend just purchased this phone from Worldex and I have to admit: The phone is simply fantastic. 16m Color screen is not just the best because of 16 million colors. Panasonic has some type of advanced screen technology that allows you to view the screen very well in direct sunlight. its good,,really good ,,that even i could reccomend this to my dad.He only talks and texts but he moans at battery life and try to say that most models arnt that good,but even for him" bar all the excellent specs"i could go ahead with these recent 16 million colour panasonics and it will benefit him.Ive never owned a panasonic phone yet but for years bought there ghetto blasters with xbs and virtual surround sound,,my tele,vid and dvd are all panasonic and this range of models look great,clean cut and just refreshingly different.Me myself am waiting for mx 7. A true revolutionary mobile Phone. 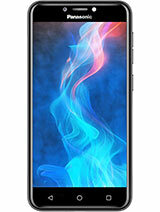 16m colors and 1620 mah battery power make this phone out of reach by other brands. Come one guys, wake up. Take it slowly. It will take another good 1-2 years until we will see a normal camera phone with a MINIMUM decent photos quality OPT. ZOOM. and decent battery life. I hate when some people like you put a total B.S. information on this site! It is actualy all oposite. 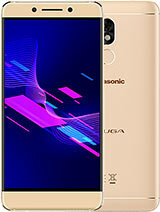 Panasonic phones are very well designed and not expensive at all , comparing to Nokia, Sony and Samsung phones! 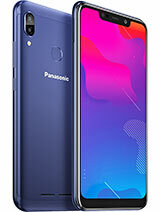 i am just waiting for the 2.0 megapixel models of panasonic. they come with bluetooth, mini sd card slot on top of the super display and battery life. This is the REAL phone. If you guys noticed, all 1.3 megapixel phones by Panasonic don't have a flash and SD slot. THAT IS NORMAL, because Panasonic don't consider 1.3 megapixel to be called a digital camera. What I like about PANASONIC in general as a Brand is that it takes things to the high tech. but in a reasonable meassure. 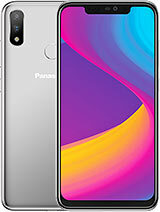 Panasonic doesn't overload its 1.3 and 2.0 megapixel phones with alot of useless features unlike Samsung, Sony and Nokia do. 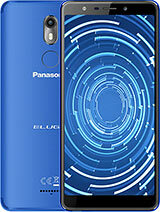 Panasonic instead concentrates on more important phone features: Quality of the color screen display, and the battery life. better display than my ultraflat plasma tv!!!!!!!! OMG!!!!!!!!!!!!!!! actually each code decribe it's extra feature. MX is Maximum Endurance, SA is Sport and Active, VS is Visual Slim. Quite clear is it? The most attractive one is that every phone of those type have a nice feature called messaging illumination. ^^ Panasonic already put official information for MX6, VS2, VS3 and SA6. For more information, access the panasonic site. Hope gsmarena update the information for those phones. Thanks. Y is the different between a MX n a VS n a SA? is it jus model number or the software code? MX 7 & 6 got how many colors for its outer housing? y iz it no comments?!?! 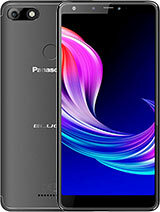 Total of 35 user reviews and opinions for Panasonic MX6.